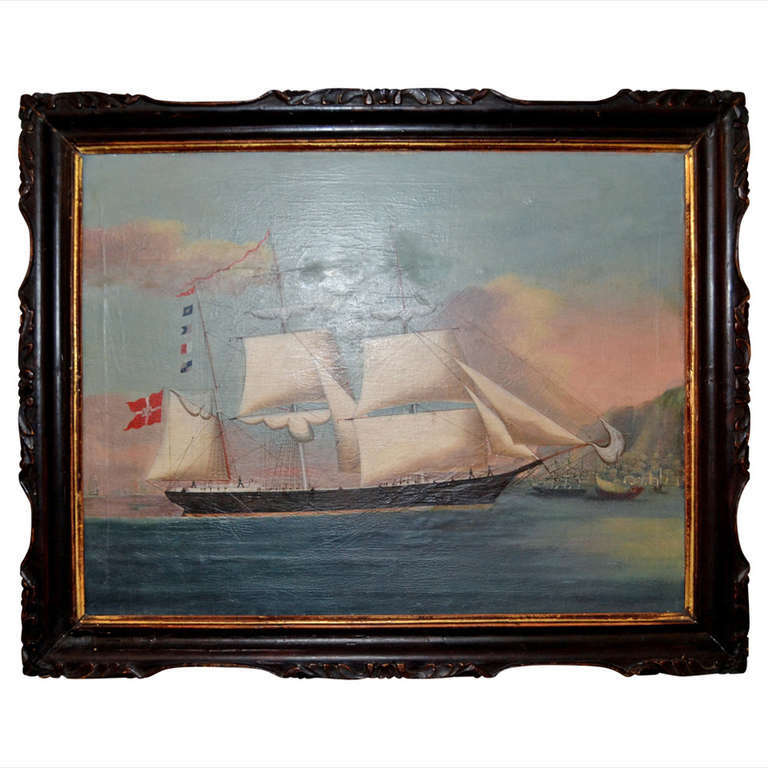 Painting of The Royal Danish vessel just outside the port of Hongkong. It has it's original Chinese frame. Proberly made in Hongkong at the time, it was normal to paint the ships coming in. 19th century piano stool or chair in mahogany and with original upholstering. 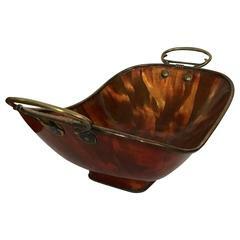 Amazing 19th century enamel bowl or bread basket. 19th-20th century watercolor painting depicting the pageantry of the Mughal Empire by Felix Gardon ~ French. Mid-19th century European flower painting, in the style of the Dutch school, depicting a bouquet of peonies, with yellow daisies on a black background. 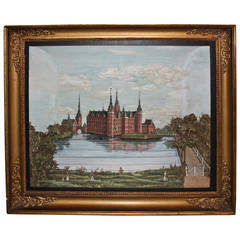 Original gilded frame. A 19th century French painting depicting a well dressed gentleman in an artist's studio. Oil on wood board. Signature lower right is illegible. New frame.